Are you looking to learn some foreign language ? Whatever the reason may be but if you really want to learn some other language this article is a must read for you. With the Help of computer and technology this task can be really easy which you think is not so easy. If you have access to a computer which can be used to help you in learning, we have collected list of few software which are designed for teaching new language. First in the list is Berlitz. 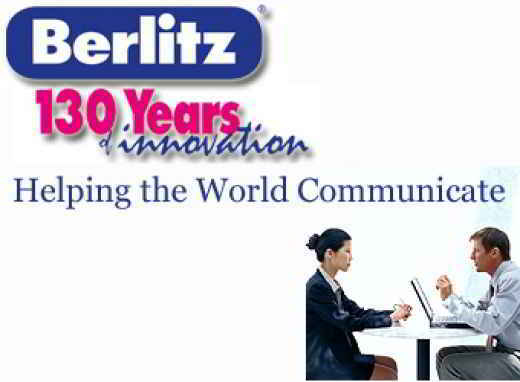 Berlitz is the well known name in language learning software. It comes with more than 30 program and several languages to make your learning Fun and easy. Some of the popular language which Berlitz can teach you includes English, French, Italian, Spanish, Finnish, Dutch and many others. Transparent language is another program which has a learning package for learning basics of over 70 language, though it can offer advanced course for only few. Transparent combines all form of learning including Audio and books along with computer to make learning easy. Rosetta Stone is one which is as fascinating as it names. It was originally developed to decrypt ancient Egyptian texts, it now offers language courses in several well known languages. It offers about 31 language to learn which is really incredible. Instant Immersion software instruction is 33 different languages and it is most popular software for Spanish. It can teach you some of the complex languages like Arabic, Bengalese, Chinese and Portuguese. Vivendi Universal’s Jumpstart is another program which deserves a place in this list. It specialize in teaching languages to children. If your child is really interested in learning one, this will be your best choice for language learning programs. and It can do wonder for you even if you are an adult only thing is it is designed to teach slowly keeping in mind that children have to learn several things at the same time. Learning non native languages is always challenging but rewarding at the same time. In the new global economy scenario speaking more than one language for any person can be handy at the time of needs. With the ease of use of these programs this become more easy for everybody with Computer.